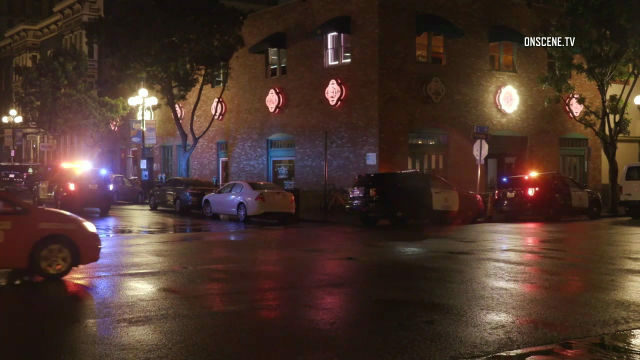 A 27-year-old man suffered fatal injuries as the result of a “punching game” inside of a bar Saturday morning in the Gaslamp district downtown. Authorities received a 911 call at 12:58 a.m. regarding a man down as the result of an assault inside Jolt’n Joe’s at 379 Fourth Avenue, according to the San Diego Police Department. Responding officers found the unresponsive man in the bar area with bystanders performing CPR on him, police said. He was taken to a local hospital, where he was pronounced dead at 1:45 a.m.
Detectives learned the suspect and victim were engaged in a game where they were punching each other repeatedly when the victim collapsed. Bystanders began rendering aid to the victim, police said. The suspect remained at the location but was later taken to a hospital for medical treatment. The suspect is currently being interviewed by homicide detectives, but no arrests were reported. The suspect and victim were acquaintances, police said. The victim has been identified but authorities are waiting to notify his family.